Go to TheGearPage and look up New Eminence Speaker Content. 148 pages of discussion on the new Patriot/Redcoat line of EMI guitar speakers. Now, that's a long thread. nawwww....try the "your pedalboard - photo" thread - it's currently at 591 pages... so what if i contributed to it! Y'all need to lighten up. This is just an online forum, it's not your life. But honestly, I spend more time on this forum than any other website. w00t! i get to pop the picture cherry in this thread! ok, this 1 of my amp racks (currently), though the whole rack will get rebuilt. The other rack, I've never had a chance to take a picture of. not mine, a company I work for, but still, someone might find them interesting. ...Mac, your right it's just a forum... If it wasn't for folks attackin personal opinions, There'd be less than half the posts. I have learned alot from people who know alot more than me here. Also, plannin on a new signature line. It'll have something to do with the arrogance of our industry. When I get the 1602 back I'll have a chance to try bi-amping the U15s. Although if we like it, that'll open a new can of worms since I use four wire to feed top & sub to each side bar stack. THAT is exactly the can of worms I was referring to. NEW copper and it's interfacing. 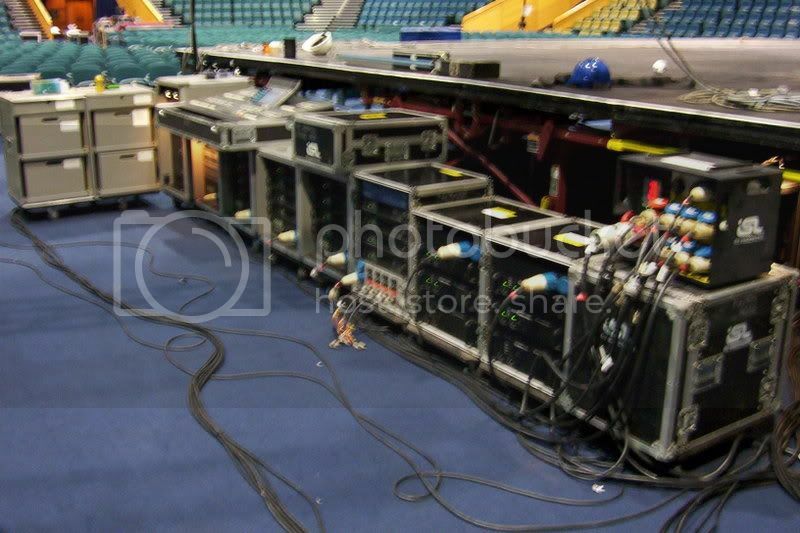 Buying all new cabling for FOH, making a new I/O panel to hold NL8s, getting NL8s, ect. NL4s fit in a small space on the rack and I already have enough 4 wire cable to do ANY job/setup we could possibly consider with our system. They are also great for castors as is www.dblittle.com (if I have the addy right). Or use DBLittle's ebay store. Nah, I stay away from the pedal forums. Talk about flavor of the month. Perfectly happy with my Zendrive if I've stuck with a backline Twin. 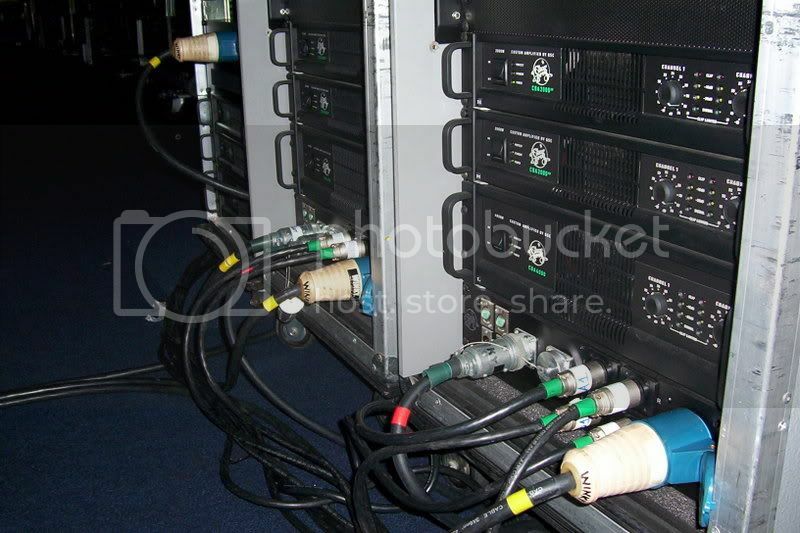 Jamie, what kind of power connectors are on those rack packs? That looks like the things most of the hotels use around here in the wall.